Don’t rush to buy a Mavic Air if you already own a Mavic pro. But ultimately the Mavic Air just takes the crown from the Pro as the best portable camera drone. This first criterion is kind of obvious in that the Mavic Air is the clear winner here. Not only is the Air about half the weight of the Pro, it also folds down to be about half the size, making it much easier to carry around. 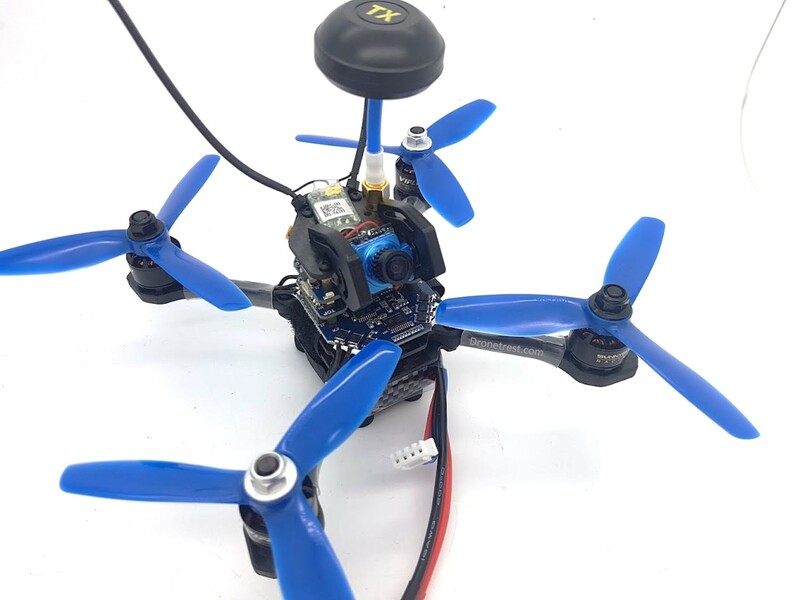 Both drones have 3 axis brushless gimbals, however, the travel on each of them varies slightly. Pitch on both are virtually the same, however, the larger Pro has more travel for roll and yaw at about 90°, however, the Air has only 60° for roll and only 20° for yaw. This is honestly not massively noticeable, but at the end of the day when flying in rough weather the larger Mavic pro will do a slightly better job. Also because it is heavier it will hold up a bit better too. Winner: Mavic Pro.. but only just. Both drones feature 4K cameras, but just like with the gimbals, if you look into the details the Mavic pro actually has a better aperture (so you can take better low light photos). But the Mavic air has a wider ISO range, so at the end of the day, both are very similar. When it comes to video the superior image processor on the Air gives you a higher video bitrate of 100Mbps compared to just 60 on the Pro. 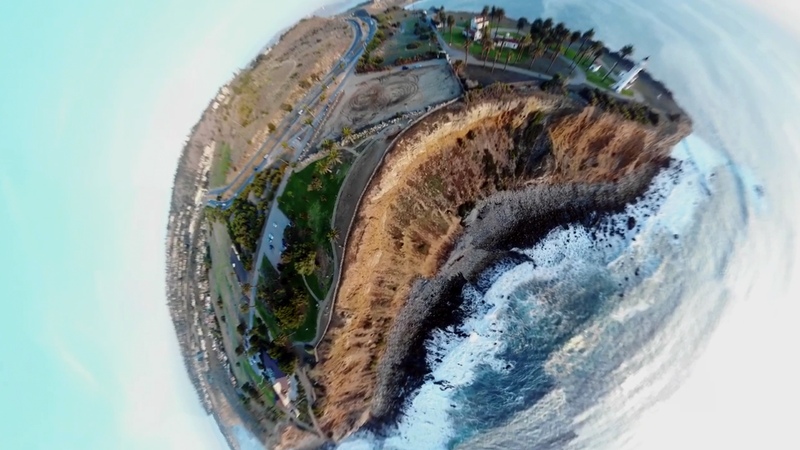 This makes the Mavic air footage sharper, crisper and more detailed. Furthermore, the Air lets you shoot slow-motion videos in full HD (1080p at 120 frames per second), so this can make for some impressive footage. If that is not enough, the camera/gimbal are much better protected on the Air should you somehow manage to crash it. The fixed focus of the camera is the only limitation of the Air. The Mavic Pro lets you tap to focus to get some creative depth of field effects in your footage, something not possible directly with the Mavic Air. With larger and more efficient props the Mavic pro wins this with a flight time of 27 minutes compared to 21 minutes for the smaller Mavic Air. These flight times are under perfect conditions and in reality I always get less flight time, but despite this, the Pro still flies for a good 5 minutes longer than the Air. Despite the Mavic pro being about a year older it still has significantly better range. This is because the Pro uses what DJI call Ocusync for video transmission, while the Mavic Air uses long range wifi. Here in the EU, you get a good 4Km of range with the Mavic pro using ocusync, whereas you get 2Km of video range with the Air. But it does not end there, not only does ocusync give you more range, the signal breakup and latency is much lower too. I suppose this technology required too much space to fit onto the Mavic air. But overall the Pro gives you better flight range. Winner: Mavic Pro… Ocusync on the Mavic pro is much better than the long-range wifi used on the Mavic air. You would think that with the bigger motors and props the Mavic pro would be the fastest, but the Mavic air wins with a top speed of 42.5Mph compared to 40Mph of the Pro. But when flying both in sports mode the smaller size of the Mavic air actually made it feel more agile and responsive. 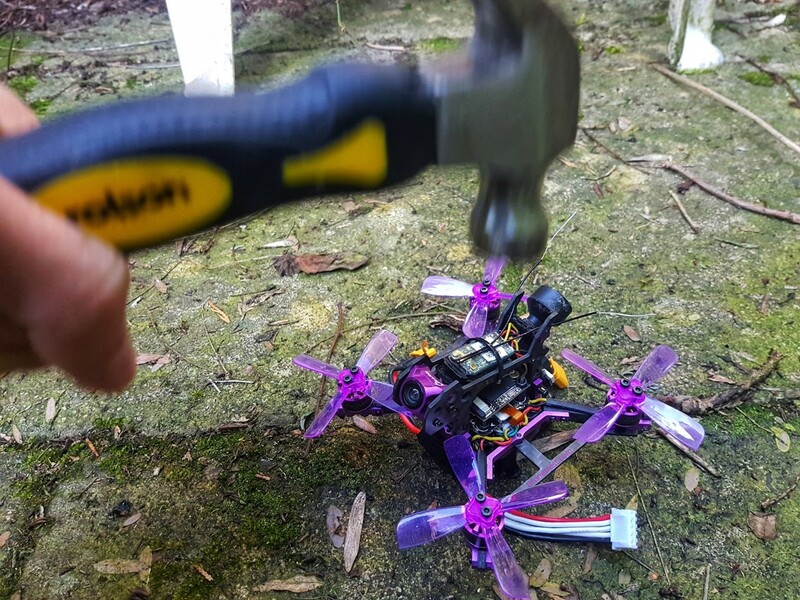 With firmware updates, you sometimes get extra flight modes introduced. But right now each drone still has their own unique flight modes. With the Pro, you get fixed wing mode which makes for a fun and interesting way to fly. The Air has some new flight modes that I really like, such as boomerang and asteroid which produce some very cool looking shots. Since the entire point of these drones are to take incredible videos from the air I have to give the win to the Mavic Air here. The Mavic Air wins this one quite easily. It has sensors on the front, bottom and rear, (Mavic Pro only has front and bottom) so you get much better coverage. The Mavic Air goes even beyond this with a new feature called APAS (advanced pilot assistance system) that allows the drone to actually fly around or over obstacles to continue filming you. Whereas the older Mavic Pro would just stop to avoid crashing. Winner: Mavic Air… it has more sensors and APAS mode! The Mavic Pro has a slightly more functional remote control with its built-in display and extra rotary wheel. The display can be particularly useful if you are flying without a phone as it displays some of the flight data (although I don’t know why you would fly without a phone as you cant see what you are filming). But one very nice feature is the rotary wheel on the back lets you adjust the image brightness quickly and easily. But if size and transportability are what you need the Mavic air remote wins. You can also remove the joysticks and secure them in the handle to make the remote very easy to put into your pocket. 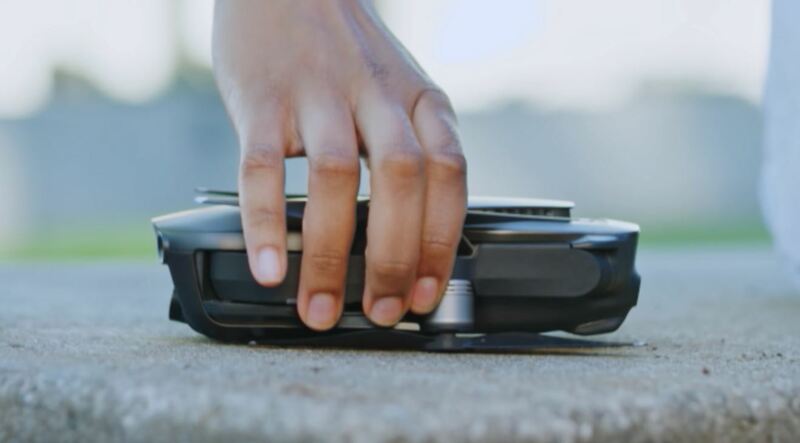 Winner: Draw… If you need more features the Mavic Pro wins, but if you need something small and easy to put into your pocket the Mavic Air remote wins. At the moment the Mavic Air is priced at $799, and the Mavic Pro is priced at $999. You get both the drone and remote controller with both so the winner here on price alone is the Mavic air. That said, you do get ocusync and a more functional remote on the Mavic pro. But you do get more sensors on the Mavic air plus it is smaller. But over time I know the Mavic pro price should come down, but right now the Air wins. 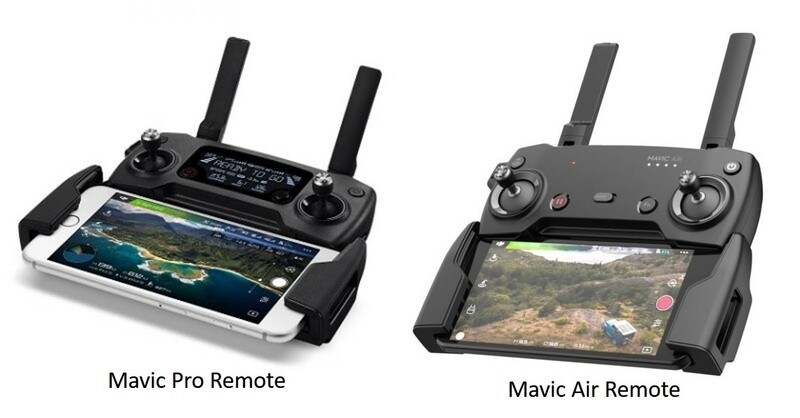 Winner: Mavic Air… right now it is $200 cheaper, but I do expect the Mavic Pro price to come down. This is a difficult one. Both use micro SD cards to save your footage, but the Mavic Air is the only one to offer some built-in storage at 8Gb. It is great to have internal storage, but you also don’t get any free micro SD card with the drone. On the other hand, you get a 16Gb card with the Mavic Pro. So having internal memory is great as you get an extra buffer to record extra footage if your SD card is full, or you forget to put one in before you fly. But it is bittersweet as you need to buy one extra with the Air to get the same 16Gb of storage you get for free with the included SD card with the Pro. Winner: Draw, having internal storage is great, but eh included SD card with the Mavic pro is bigger. 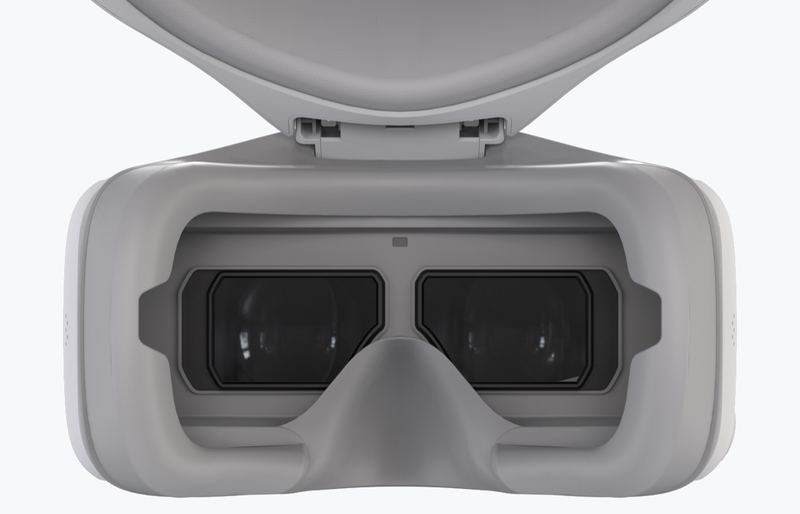 Want to use DJI goggles? You can use your DJI goggles with both drones, however, since only the Pro uses ocusync you need to connect your goggles via a cable to your remote with the Mavic Air. Besides this for reasons described above, ocusync gives you a better experience, however, if you stay within 1Km range the Mavic Air still works well. Using goggles with the Pro is overall a better experience and takes the win here. You also get the fixed wing mode, which simulates flying a fixed-wing plane, which is a lot of fun when using the goggles. Winner: Mavic Pro… because it uses ocusync. You would expect the smaller Mavic air to be quieter. However, in our tests, we found that it was actually about 10% louder than the larger Pro. But if you upgrade your Pro to the low noise props as the Mavic Pro Platinum (yes you can order them separately) then the Pro it is incredibly quiet. Maybe in the future DJI will release some quieter props for the Mavic air, but right now if you want something quiet the Pro is the clear winner. Winner: Mavic Pro… especially if you use the low noise propellers. At the end of the day, both of these drones are great, and you will not be disappointed with either. I generally think the price and extra features of the Mavic Air make it the better option for me, as I don’t intend to fly very far away. But if you already have a Mavic Pro then there is very little reason to upgrade to the Mavic Air as it is only marginally better. 🎮Get the Mavic Pro if flight time, range and DJI goggle compatibility is important to you. 🎮Get the Mavic Air if size, safety, slow motion video, and cost is important to you. Thanks for reading this article and I hope that it helps you make up your mind. If you have any comments or suggestions please add them below.